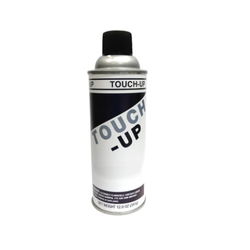 Providing you the best range of touch up spray paint with effective & timely delivery. We are offering wide range of Touch Up Spray Paint that is extremely quick drying properties and is affordable by all. Convenient for use on onsite painting and touch up jobs, these are available in a plethora of colors to choose from. Used in plants, home appliances, refrigerators, air – conditioners, washing machines, machinery manufacturer, switchboards and control panels manufacture, ship buildings and ship repairs.